Teal. 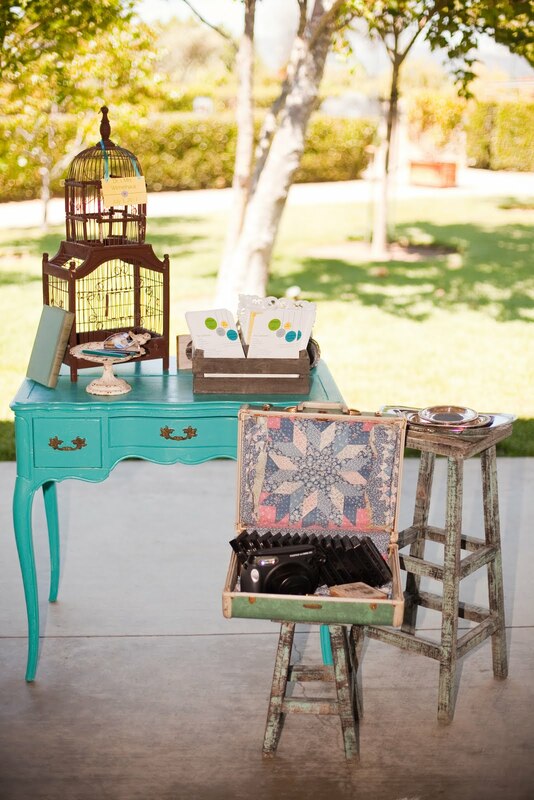 You seriously want a teal desk? This is one of the projects we did for the wedding. Taking on a sad old desk and making it fun and fresh. Sometime around the holidays Christoph and I visited the Alameda Antique Faire. But that’s not where this desk came from. As we were leaving we saw a sign pointing to a warehouse that was selling furniture. We were having a leisurely day and decided to stop. Clearly, the desk needed a little TLC. But I knew it wouldn’t take much to turn this into something special. Christoph looked at me like I’d gone crazy (as usual) but I told him to just trust me and he did (as usual). When I came home with the teal paint I got the same look. But again, he went with it and he repainted the desk. In the end, Christoph loved the color and is still trying to take all the credit for it. It became a real show piece at the wedding that really made things pop! To the point that my planner has since acquired the desk for her collection to use in future weddings that she plans. What color/brand of teal paint did you use? I’m not able to see the exact color of the paint because paint is covering it, but the finish is semi-gloss and I know it was one of the less expensive brands. Hope that helps!